I was born in 1980, and began collecting X-Men comics at the age of eight. At the time, there were three “main” X-titles – Uncanny X-Men, New Mutants, and X-Factor. In the earliest X-Men issues I bought, I saw house ads for the upcoming spin-offs Excalibur and Wolverine. Wolverine was also appearing regularly in Marvel Comics Presents, but I never felt any compulsion to purchase that title (not even the Weapon X issues). There was also Classic X-Men, my first exposure to the characters, which combined reprints with new stories. One could make the argument that there were actually seven regular X-titles by the end of my first year of collecting. I’ve only known the X-Men as a franchise, and not as a lone title. In my early years of collecting, the two titles I usually purchased were Uncanny X-Men and Classic X-Men. I was only allowed to buy maybe two comics a week, and didn’t really feel compelled to follow every mutant-related title. 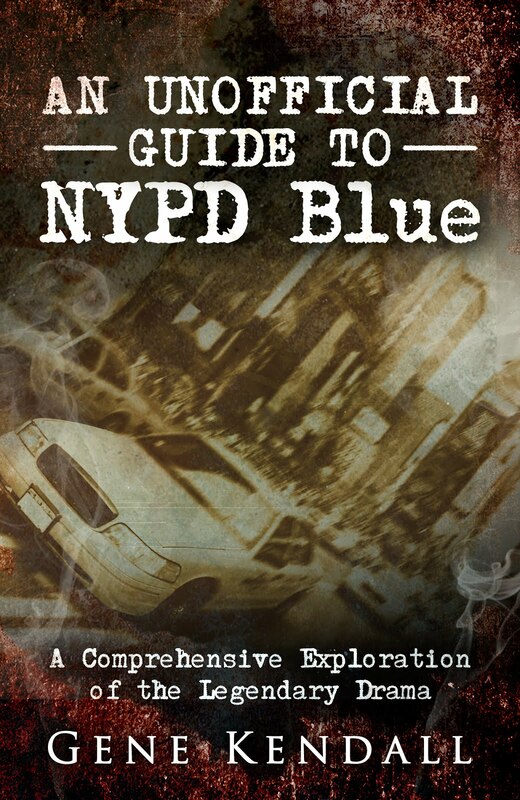 I honestly had no idea why some of these books existed. I understood that X-Factor starred the original X-Men, but Excalibur? New Mutants? I didn’t know who most of these characters were or what they had to do with the main title. I did occasionally pick up these titles, and didn’t actively dislike them, but also never felt a compulsion to become a regular reader. Also, living in a small town without a comic shop, I was at the mercy of newsstand distribution. I honestly don’t remember if my local convenience store even carried New Mutants on a regular basis. By the time the speculator boom hit, I was around eleven years old. Uncanny X-Men was one of my favorite books, but I still wasn’t purchasing the spin-offs that often. I didn’t feel as if I was missing out on anything important, so my limited comic funds went to other Marvel titles. Within a year, however, I would be going out of my way to buy almost anything X-related, becoming not just a Marvel Zombie but specifically an X-Zombie. Why exactly isn’t entirely clear. I don’t think I read one specific comic and suddenly declared that I should be getting MORE of this X-stuff. Although, it is clear in retrospect that the relaunching of the X-line in the fall of 1991 had a large impact on me. 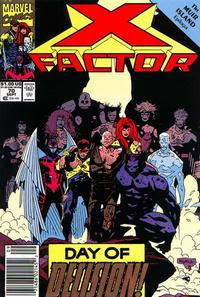 In early fall 1991, X-Factor was relaunched as essentially a new series, and New Mutants morphed into a new title named X-Force. 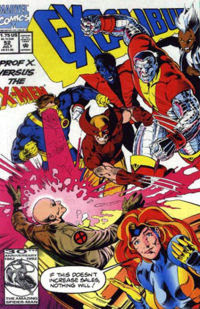 Another spin-off simply named X-Men also began during this time, along with a new line-up and direction in Uncanny X-Men. The new beginnings of Uncanny X-Men, X-Men, and X-Factor had their roots in a storyline called “The Muir Island Saga” that ran during the summer (the launch of X-Force had nothing to do with this storyline, but it was a “fresh start” happening at the same time). Even as an eleven year old, I didn’t particularly enjoy “The Muir Island Saga”, but I recognize now that it did lead me down the path of becoming an X-Zombie. The storyline was a cross-over between Uncanny X-Men and X-Factor, and since it resolved a major plotline in Uncanny X-Men, I felt compelled to buy every chapter. Aside from teaming up the X-Men with X-Factor, secondary characters like Polaris and Madrox were also given roles, creating a story that featured probably around twenty heroes. Looking back on it now, it seemed to create this idea that all of these peripheral characters “mattered”, which was a feeling I never had before. 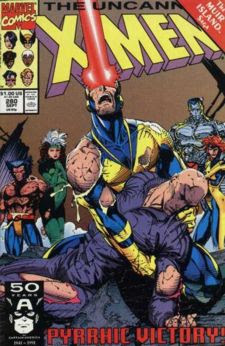 When the cross-over was over, an epilogue appeared in X-Factor # 70, which was also Peter David’s first issue as writer. The issue wrapped up some loose ends from the cross-over, and set up the new, relaunched X-Factor team. 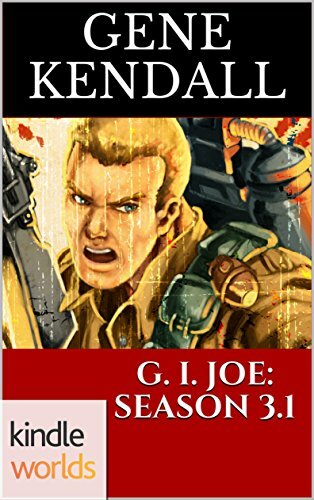 I don’t think I decided right then and there to start buying the book on a regular basis, but it did seem that one “important” storyline was now leading directly into another one. At the very least, that intrigued me and gave me more of a motivation to regularly purchase the title than I had felt before. It’s interesting that the audience today is supposed to be older and more sophisticated, yet the industry is still reliant on the same tactics. When the next issue was released and I saw that Havok would be a member, I knew that I would be a regular reader. Havok was a “real” X-Man to me, making X-Factor now a “real” book that was required reading. By fall 1991, Marvel’s mutant line of comics was offering “bold new directions”, and I was one of the millions of readers who bought into it. The idea that the books would someday be “valuable” also played some role in this, but I don’t think it was a very large one. 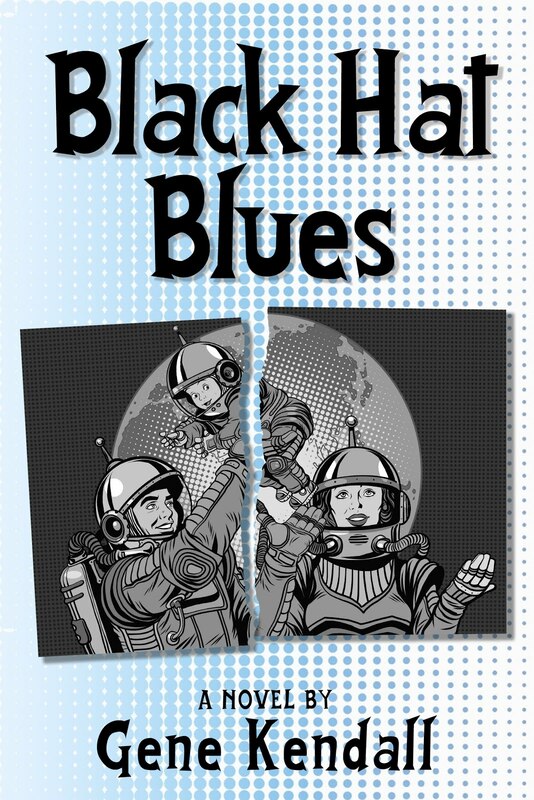 I had never sold any of comics, nor did I know of a place to sell comics even if I wanted to. I was eleven years old and newly convinced that the peripheral characters from the various spin-offs could actually be worth my time, too. That was really my main motivation; I didn’t want to miss out on anything that “mattered”. However, there were still a few titles that I felt didn’t really “matter”, or didn’t matter enough to warrant a monthly purchase. Even after the 1991 relaunch of the line, I still didn’t buy Wolverine and Excalibur regularly. Whatever was going on in those books didn’t seem to be brought up in any other titles, and none of the titles I did buy carried stories over into those books, so I felt safe in leaving them out. Within two years, I did begin buying these two titles regularly, but only after they began participating in the annual cross-over. It’s kind of sad to know that I fell for the worst of comic book marketing, but at least I have the excuse of being young. Years later, having read the issues I missed, I now realize that Larry Hama and Alan Davis were probably doing the strongest work out of the entire line. 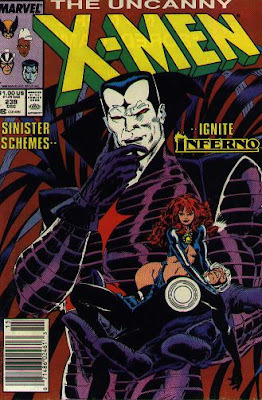 The purpose of this blog is to re-evaluate the 1990s era of the X-Men family of titles. There is amongst fandom the automatic assumption that anything X-related released in the 90s is crap. Is that unfair? I don’t know. I’ve spent the last two years re-reading large sections of my comic book collection, but always skip this era. Why exactly? These titles represent years of my buying habits and actually take up two full-sized filing cabinets. Why have I been ignoring such a large segment of my collection? Having a blogger.com account apparently requires users to make bi-weekly snide remarks about Jubilee and Gambit. An eagerness to repeatedly scan fifty year old Jimmy Olsen comics seems to be another prerequisite. 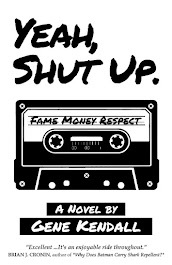 I’d like to do something a little different and look at books that my generation actually DID buy, even if it isn’t popular to admit that now. I refuse to believe that I’m the only one out there who didn’t spend the 1990s reading Bone or Hate. The vast majority of the comics I will be reviewing I haven’t read since my childhood. I don’t remember a lot about most of them. Hopefully, I’ll be looking at them with new eyes as an adult. I don’t want to do yet another blog of Rob Liefeld scans and jokes about disappearing feet. I’m also not interested in rehabilitating the reputation of these books. I’m not interested in praising or burying these titles, I just want to take a look back with an adult perspective.